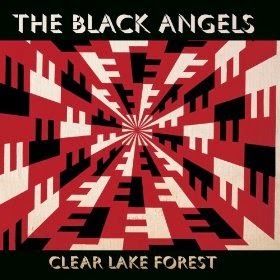 WHY: Austin's psych rock powerhouse The Black Angels does EPs better than just about anyone, and Clear Lake Forest is another fine example of their prowess. Creeping, shadowy specters of the Velvets and the 13th Floor Elevators are ever-present, as too are Spector-ian walls of sound and 60s pop shimmy to set off all that fuzz. As far as I'm concerned, these folks never put a foot wrong. My jams: "Sunday Evening," "Tired Eyes," "The Flop," "An Occurrence at 4507 South Third Street," "The Executioner"